Dear parents and well-wishers of Eram Group of Institutions prayerful greetings to all of you. At the very onset I would like to thank each and every one of you for your concern and love towards the college. We really feel encouraged by it. As you all may be well aware that running schools now days is a herculean task and as the days are passing its turning still difficult and the future looks still bleak. In a situation like this we at Eram Groups are trying our utmost to do the best for your ward with regard to his mental, physical and spiritual growth. In spite of all the odds we face we try to discipline each of them by pruning them with timely corrections and guidance we even try to educate them on the aspect of punishment not to be taken as something that breaks you but rather something that makes you. In all this, dear parents, both of us play an important role- if we are called for a giant effort you must fulfill the remaining gap. It is not only schools that are responsible for the future of each student -rather parents and elders too have a leading role. We have to give our children, our youth time -money is not all. Expensive gifts will not substitute for quality time. The faster we realize this truth the sooner we will heal the society of its ills perpetrated mostly by the youngsters. Hoping to move together for the better of our students, I once again thank each of you for all the necessary help and support you render to this institution. The foundation of subjects relevant to professional studies are truly laid in the previous period, referred to as +2 or HSC level, spent at the junior or intermediate college. In today's competitive scenario it is imperative that the educational institutions offering higher education have to ensure that the students get an extra edge in this regard. 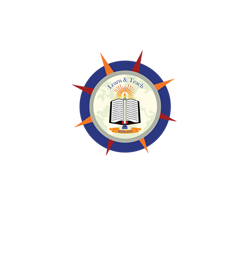 It is here that the institutes play a vital role. In this perspective the Eram Education Society has taken care to offer the 'extra edge' through various initiatives aimed at going beyond the text books. The sector of education, which is intimately connected with human resource development, has to consider the ramifications of the emerging challenges and develop an educational model which is both responsive and comprehensive - covering all aspects of education. In the last few years of existence, I have seen the school grow from strength to strength and today it is one of the premiere institution Lucknow, providing to its students an environment conducive to overall development and learning. We are constantly making an endeavour to habituate students in the right mode of conduct, thus strengthening their character. 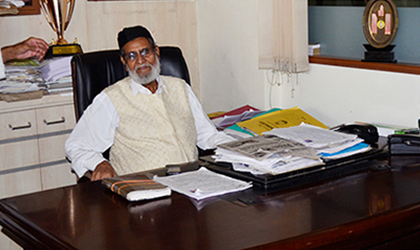 The school assembly, the curricular and co-curriular activities, celebrations of festivals and international days, clubs, Interact and social outreach programmes all are geared towards the dissemination of "Human" Values, apart from the focus on academic excellence which has always been one of our prime concerns. Understanding young minds is our forte and believing that every soul has a different identity we respect every child's individually and help them to nurture to their fullest potential. Our school value system stresses on making every child morally strong and enabling them to become a better citizen of tomorrow along with giving a multi facet exposure to the students. Quintessential values are instilled in them. Even though they are given wings to fly, yet they remain firmly grounded to their roots. The school is inching every moment towards greater heights in the fields of academics, sports and extra curricular activities and also infrastructure. We are proud to have our students selected for state and National levels in sports.In addition to that our students are also securing ranking in various Olympiad conducted by different councils. Our students have also bought accolade for music and dance where they were appreciated and awarded by different state level agencies. In an evolving educational scenario each must understand that educating is an individual and collective effort to serve our nation for bringing out the best in the coming generation 'where the head is held high' and 'knowledge is without fear'. Let our boys and girls grow as world class citizens-a generation of eminent thinkers and excellent planner. So let us explore, dream and discover. Education in the emerging global knowledge economy has become a great leveler amongst Individuals and Nations, being the highest form of organizational capital. The whole purpose of education is for all individuals to learn and grow as better people, everyone in this sector, should then make an effort to work together to achieve the common goal. The need of the hour is to help our children become independent thinkers and develop integrated personalities. In parallel with this thought we at Eram Instutions always believe that education should create the pupil’s life as a whole in terms of positive attitude towards life, decision making skills, learning about the world around them, and of all a good Human Being … so as where ever our Cites go, they will put themselves at a concrete level in the society … As per the theme of our magazine i.e, ‘Environment’ I would profoundly like to put in the quote of Charles Darwin “It is not the strongest species that survives But the one most responsive and the fittest to the environment” Through the curriculum we teach our students to be like the above mentioned quote, keeping it up to our school motto “Creating Global Citizens” we also nurture our budding minds to paint themselves at the international platform too, as the world has condensed into one global village. 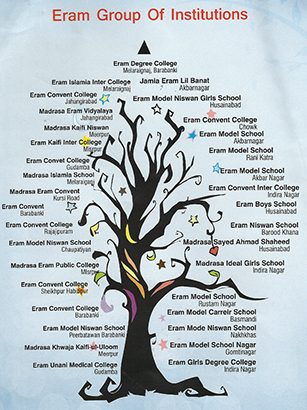 Eram Institutions has evolved upto its bloom and today after completing eight successful years we have been scaling a good sigmoid graph ….. Our children are capable today, they accept challenges in a positive way, they want an opportunity to prove their mettle, and have sensitivity towards the people around them.